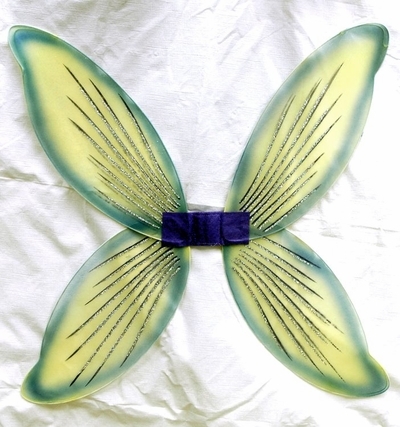 Perfect for your pixie, fairy or butterfly costumes, these purple and lime green semi-sheer wings have silver glitter trim and comfortable elastic straps to attach them securely to your shoulders. One size. 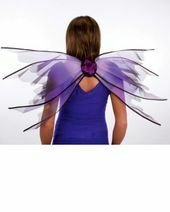 Check out more options on our Fairy Wings and Fairy Costumes pages!